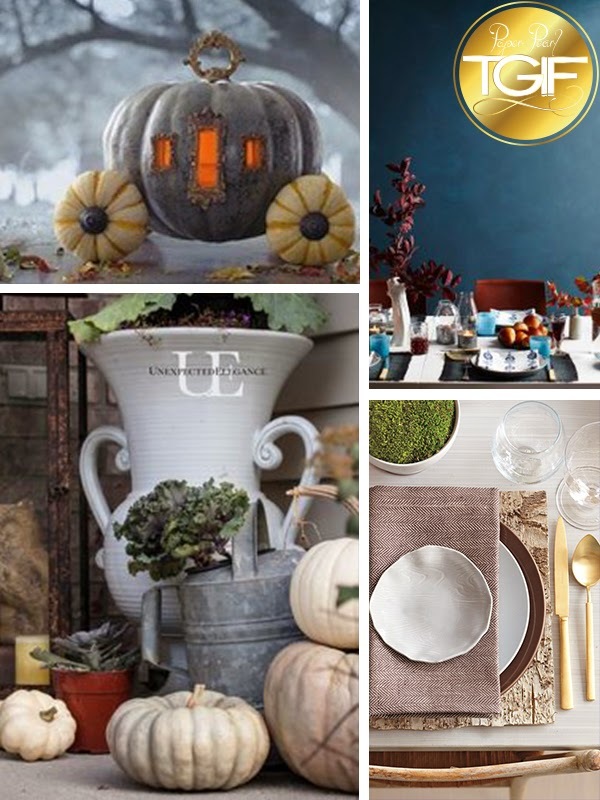 As if we need any other reasons to Fall in love...Thank you Pinterest for inspiring more fall decor! Laurie and I love to put twists on traditional looks or ideas and these white pumpkins and gourds are so different yet so festive. The parings of the warm gray or the warm teal with the creamy white (creamy and white...one of Laurie's favorite word parings-try to make her eat anything creamy and white...ha!) is just so lovely and fresh. And the hint of metallics mingled in...I just love it! Another thing I love about some of these tablescapes is the fact that there aren't big huge arrangements or things cluttering the whole table preventing conversation or family-style eating. I never want my table to be stuffy or uninviting. 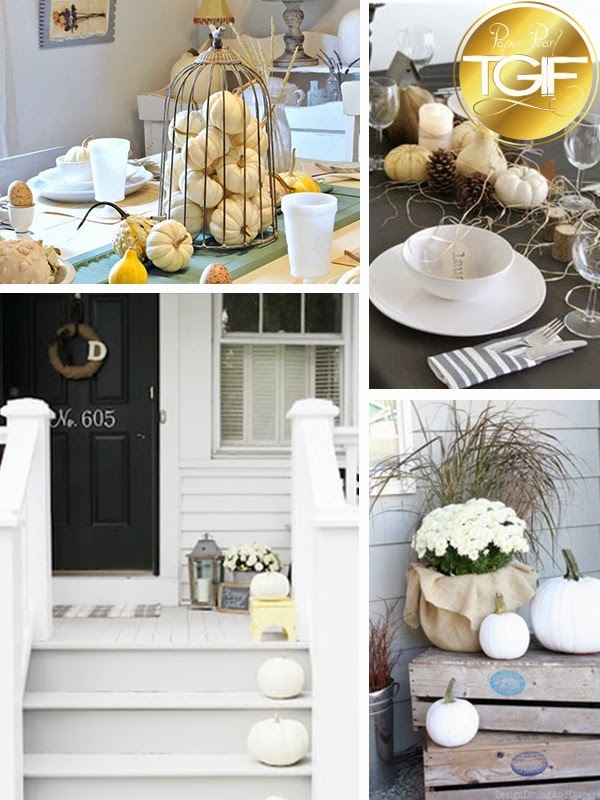 Seeing these photos makes me want to decorate and entertain!